(TibetanReview.net, Jan17, 2018) – After Chinese authorities publicly scolded and began punishing several international firms for having inadvertently listed Tibet and Taiwan as well as Hong Kong and Macau as countries, other foreign companies having business links in China have taken to correct themselves on the issue. 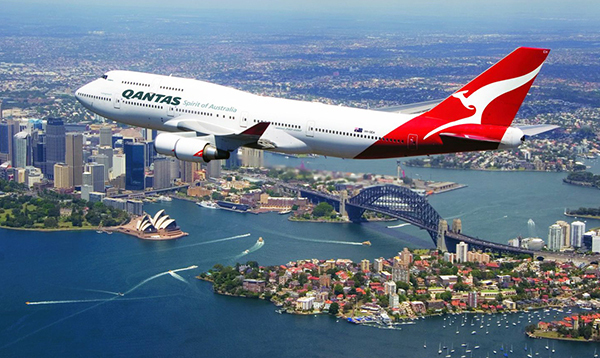 On Jan 16, Australia’s Qantas airline said it had changed its website classification of Taiwan and Hong Kong from the category of countries to Chinese territories, reported the AFP Jan 16. The airline was cited as saying it was amending an “oversight”, following in the footsteps of several other international corporations who had in the past week been called out by Chinese authorities. Last week, Shanghai’s cyberspace authority sent a stern message to international firms while ordering Marriott International, a US hospitality giant, to shut down its Chinese website for a week as well as mobile app and amend what it termed the “illegal” categorisation of Tibet and Taiwan, as well as Hong Kong and Macao, which Beijing claim are China’s territories. Spanish clothing giant Zara, Delta Air Lines and medical device company Medtronic were also called out for listing Tibet, Taiwan and Hong Kong as countries. All have since apologised and changed or amended their websites. China annexed Tibet, ruled by a succession Dalai Lama reincarnations since 1642, by forcing a Tibetan delegation to sign a 17-point agreement in 1951 and later fully took it over after a bloody suppression of the Tibetan uprising in Mar 1959. Democratic Taiwan has been self-ruled since splitting from the mainland after a 1949 civil war, but the communist ruled China, though having never ruled it, claims the island country as its territory. Hong Kong and Macau are former British and Portuguese colonies, respectively, that are now “special administrative regions” of China after relatively recent takeovers.